The socialite says she should have told the rapper about the matching Lamborghinis lifestyle since her own relationship also started there. 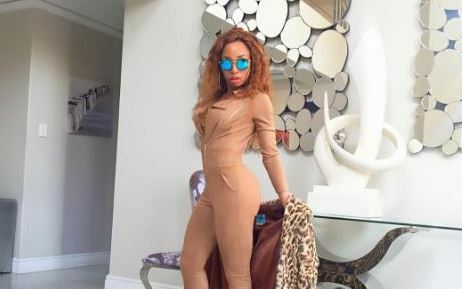 Following American rapper Cardi B’s announcement that she split from her husband, Offset, socialite Khanyi Mbau has taken to social media to remind her critics that she saw the split coming since she had travelled down the same road herself. Twitter dragged Mbau earlier this year, accusing her of being jealous of Cardi B after she posted a picture of her and her husband with their matching Lamborghinis. Mbau responded: “Should I tell her?” receiving backlash from those who said Cardi B’s situation was different. Mbau’s life came into the spotlight when she dated then wealthy businessman Mandla Mthembu, who was much older than her. The couple has a daughter together. Mthembu and Mbau’s relationship set tongues wagging, mostly due to their age gap and Mthembu’s financial status. The couple were regularly seen on Joburg’s streets in matching yellow Lamborghinis. The relationship ended and her ex-husband reportedly ran out of money. Now Mbau says she should have told Cardi B how things would end and now her followers agree. Cardi B announced on Wednesday that she and her husband were getting a divorce.